Designed for C2/C3 Equipment. 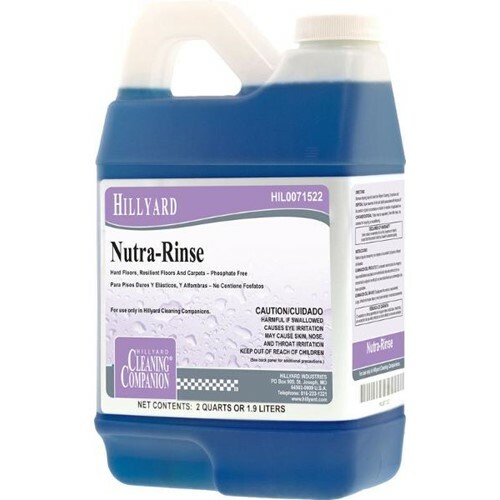 This concentrated form of Nutra Rinse will dispense out of the C2, C3 and C3XP at 2 oz. per gallon. Cleaning Companion Nutra Rinse will help to add more floor care and carpet care capabilities to the Cleaning Companion. Dilution rate 2 oz per gallon. Case Specs: 6 one half gllon containers per case, sold as one half gallon container.